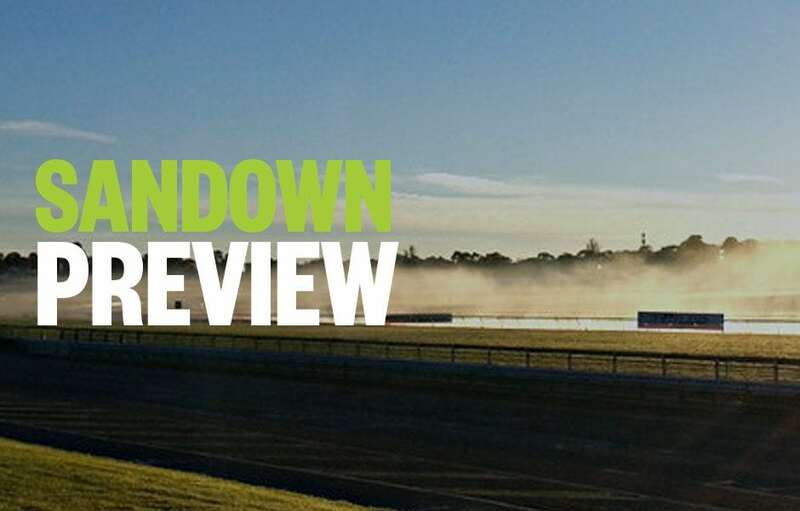 Palmerbet Racing Team preview Wednesday’s Sandown meeting, with horse racing tips & analysis for all eight races on the card. It’s a twilight meeting this week. Good luck, punters! A competitive race to start the day. The small field here, so tactics play their part. SOUL SAR should be suited. She resumed from a spell last start over 1000m and was a mile back to the bend before unleashing. Looks well placed here. NO REWARD is tough and solid and she always shows up this grade. AGE OF CHIVALRY resumes here and looks well placed. Has had 2 starts and both were game, encouraging efforts. Drawn well, the top rider on top and looks to finish hard late. RONAN’S ROCK is also resuming after showing talent. Working well and will be heavily backed. Big show. The big acid test for the promising HALVORSEN in this. Finished like a train to easily win 1100m maiden at Kyneton then stormed away winning by 4 lens with 60kg in BM 58 last start. Might be very handy, but will need to be from this bad gate. HAWKSHOT has talent. He’s lightly raced and bred to get a trip yet he showed speed to be on pace this grade here last start when close up 2nd. Will test these. FABIAN’S SPIRIT created a big impression on debut leading all way and winning easily in maiden at Geelong. Harder here but looks to be pretty smart. Good race. Couple up the Mick Price pair of JENKINS and SENRIMA PRIDE in this. both are 2nd up from a spell and appear to have the necessary wheels for this type of race. CINCINNATI RED has placed 7 of past 9 and is the model of consistency. Will show up again. PURE SCOT and CASH AFFAIR are well placed in this company and both will go close. Cash Affair is racing in tremendous form this grade while Pure Scot drops a little in class. MISS ADEQUATE is a bit hit and miss but capable on her day and has drawn well enough. Nice win similar race last start. AMBITIOUS GEM is an improving mare and her win this grade over 1500m last start with 57kg was full of merit. She rattled home from a mile back and it was at this track. has won twice at BM 64 level and is up only 0.5kg. Big show. RENEGADE is 3rd up here and both runs to date this campaign suggest a forward showing today. PEKO has bad draw but strong form in weaker grade. Can place. GOLD MAG has a lot of talent. Won 2 at Bendigo and Sandown before stepping up to Flemington BM70 and just failing. Is up to this. Resumes here but should fly late. THINK BABE was not at her best last start this grade when 6th. Previous form was very sound this level while TIN HAT was exciting first in similar race. Can rush late. Big danger. Former French campaigner ETNA looks well placed here. These Europeans can race well as we know while fresh and this is his 2nd start in Australia. On debut here in December was 6th in open grade. Watch market. Big show. JOHNNY VINKO has been up a while but is retaining his zest and racing very well this company. That puts him right in contention here. PRINCE ZIGGY is very strong these days in these types of races and was just run down by a potential star last start. Well placed.